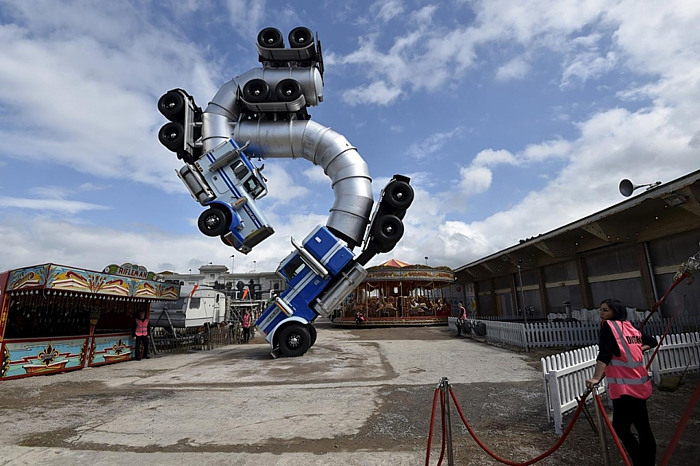 Chances are you’ve heard of Banksy‘s new creation, the twisted ‘Bemusement Park’, Dismaland in Weston-Super-Mare, a faded seaside resort on the South West coast of England. Dubbed as one of the UK’s ‘most disappointing new visitor attractions’, the park also features work from a number of other artists, including Damien Hirst. Artbeat's Graeme Watson talked to eminent Bansky expert, RMIT Pro-Chancellor and Design and Social Context Vice-President, Professor Paul Gough, and they took a look inside the park and the mind of its creative creator on Artbeat.